CAMBRIDGE, Mass. 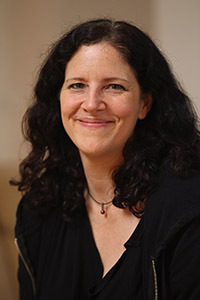 – Filmmaker Laura Poitras is winner of the 2014 I.F. Stone Medal for Journalistic Independence, awarded each year by the Nieman Foundation for Journalism at Harvard. Amy Goodman, host and executive producer of “Democracy Now!,” also has been selected to receive a special I.F. Stone lifetime achievement award. The two journalists will be honored at a ceremony at Harvard University on February 5, 2015. Poitras, a Berlin-based American documentary film director, journalist and artist, is co-founder of First Look Media’s The Intercept. She was chosen for the I.F. Stone Medal in recognition of her reporting exposing the massive illegal NSA surveillance program disclosed by whistleblower Edward Snowden, which is the subject of her new film CITIZENFOUR. The documentary is the third and final film in her trilogy about post-9/11 America. The first film, My Country, My Country, focused on the Iraq War and was nominated for an Academy Award in 2007. The second, The Oath, about Guantanamo, was nominated for two Emmy Awards.